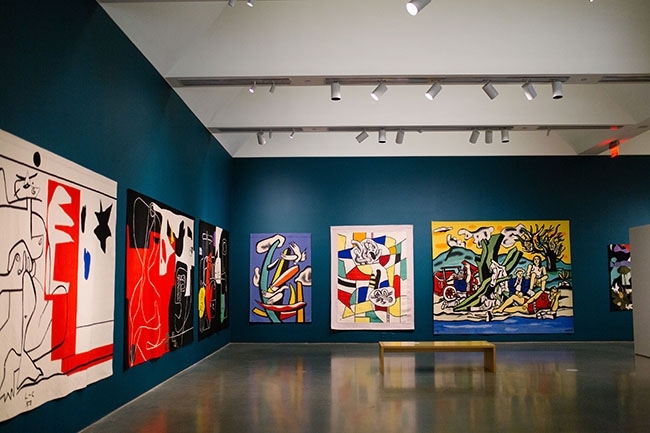 The Bechtler Museum of Modern Art opens a new exhibit titled Nomadic Murals: Tapestries of the Modern Era today. 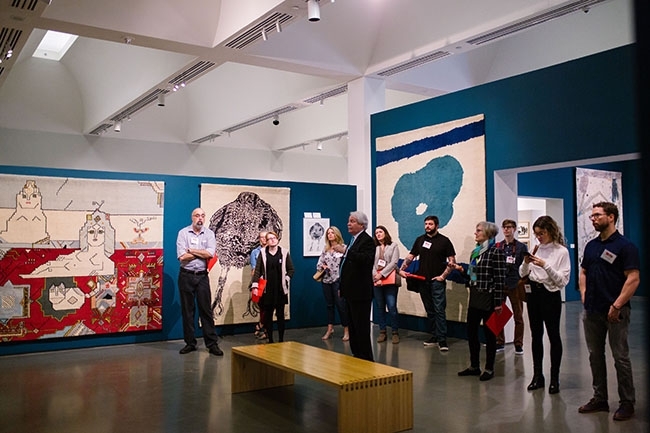 The fourth-floor presentation includes more than 40 tapestries created by contemporary artists in collaboration with weavers. 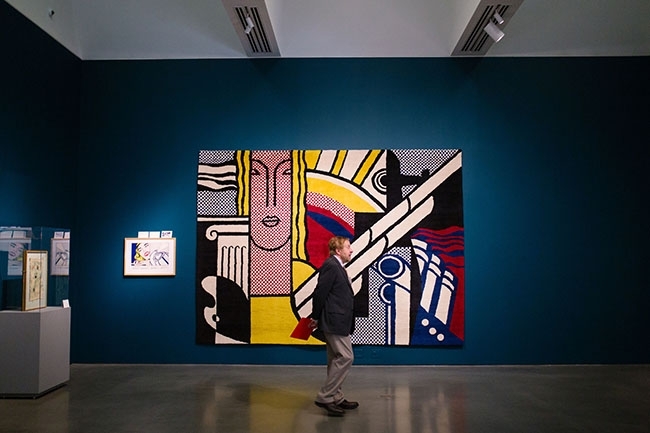 The artists that commissioned the tapestries are more often associated with painting, sculpting or architecture. 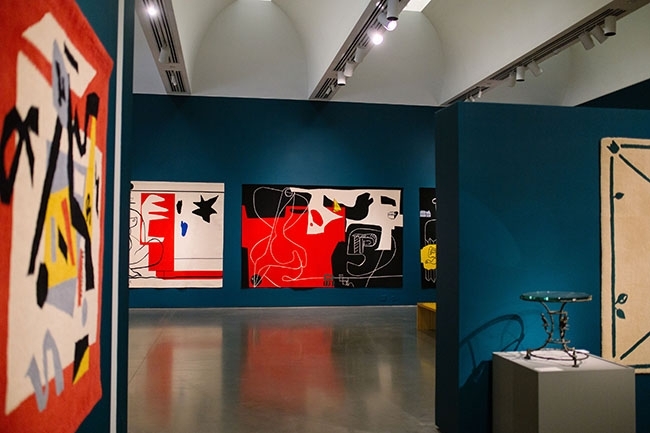 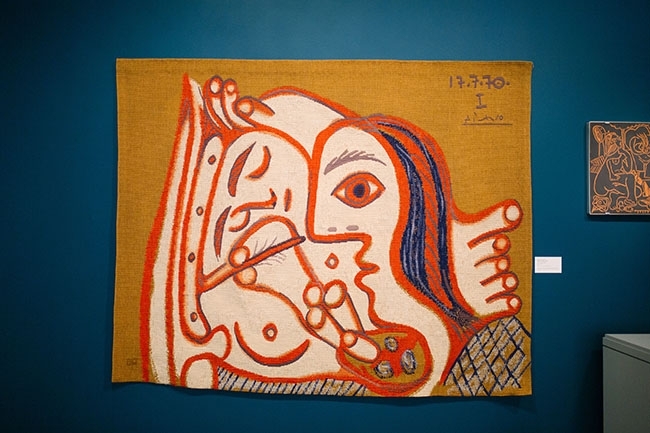 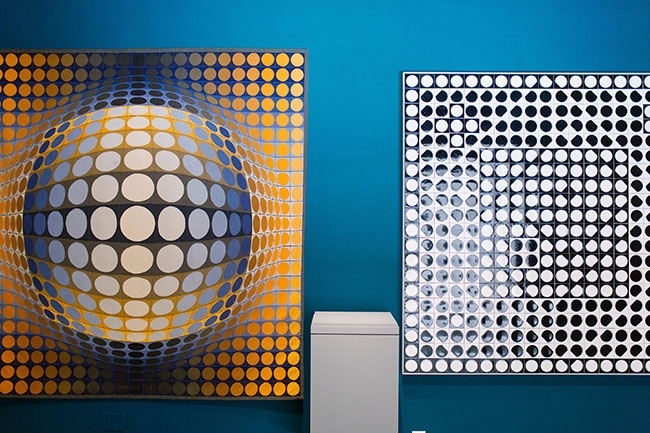 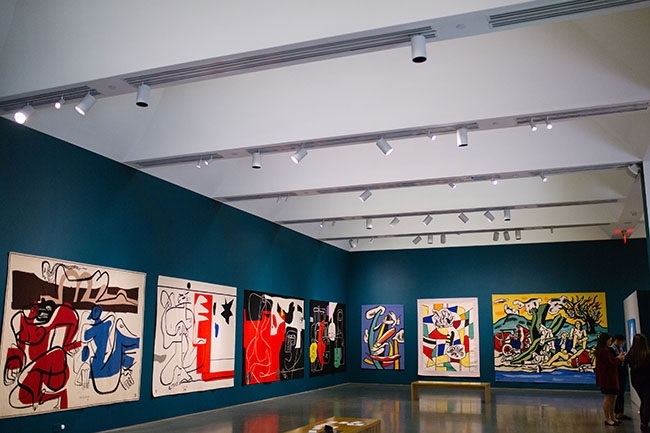 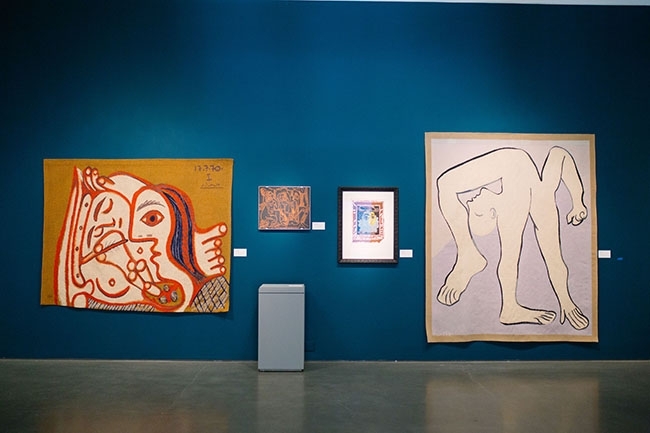 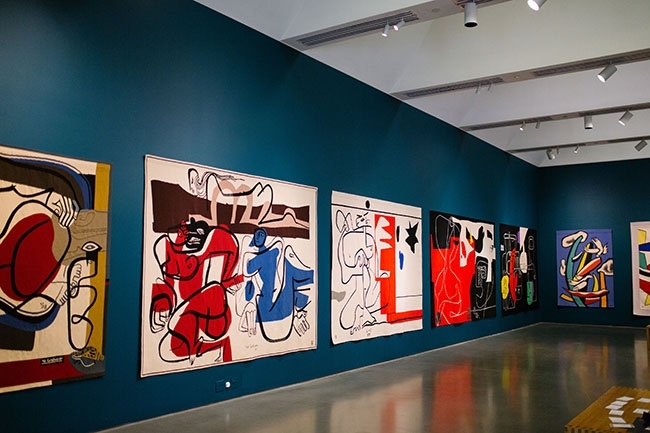 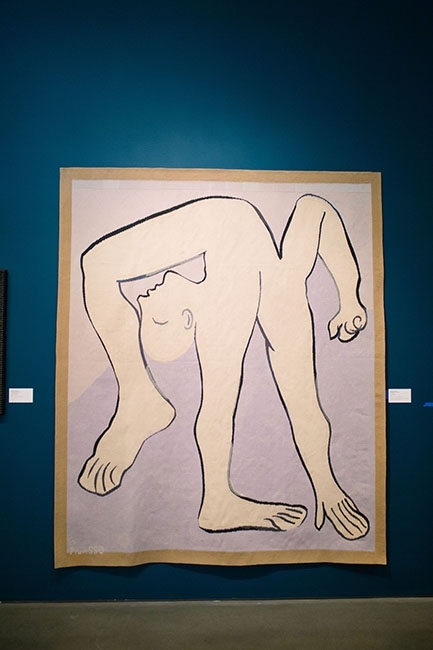 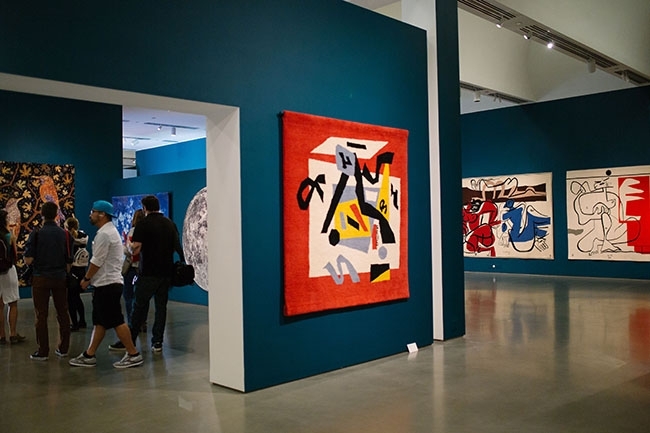 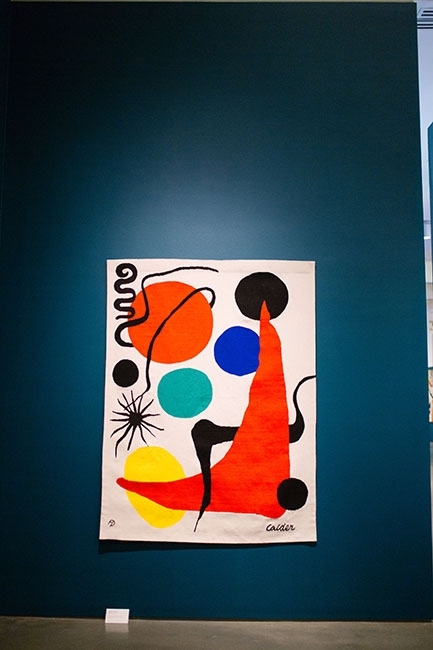 Artists on display include but are not limited to Alexander Calder, Le Corbusier, Joan Miró and Pablo Picasso. 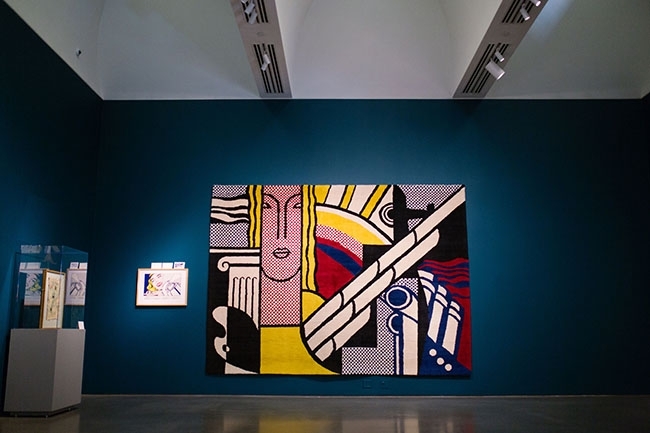 The museum’s full tapestry collection has never been on view to the public, and the pieces are now hung alongside the artists’ work to demonstrate the consistency between image creation and tapestry production. 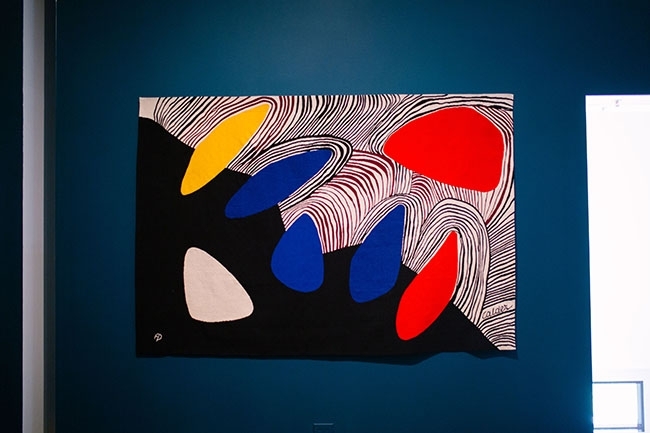 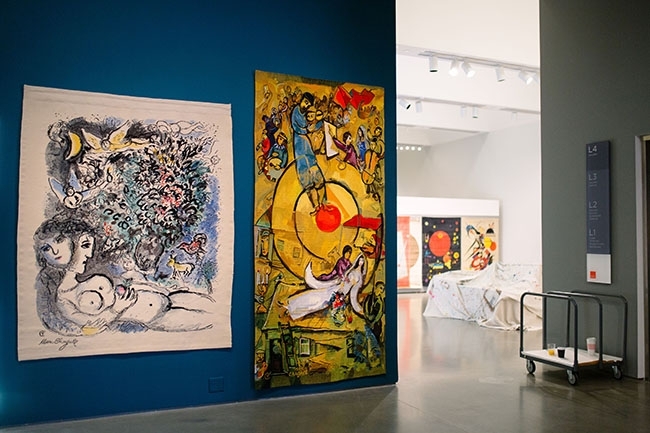 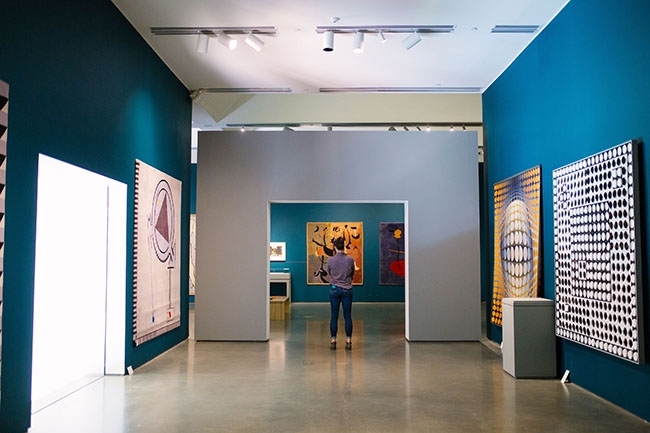 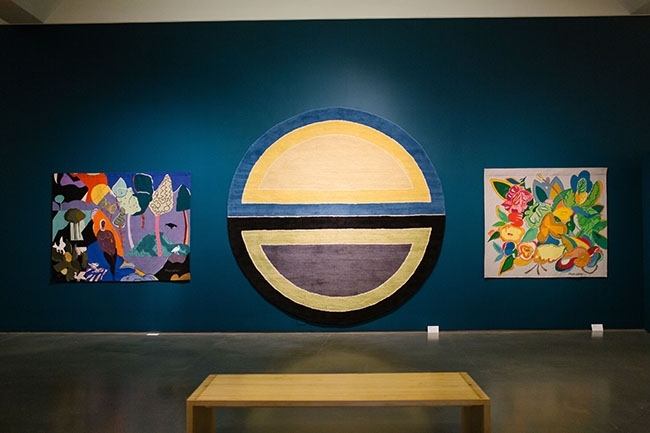 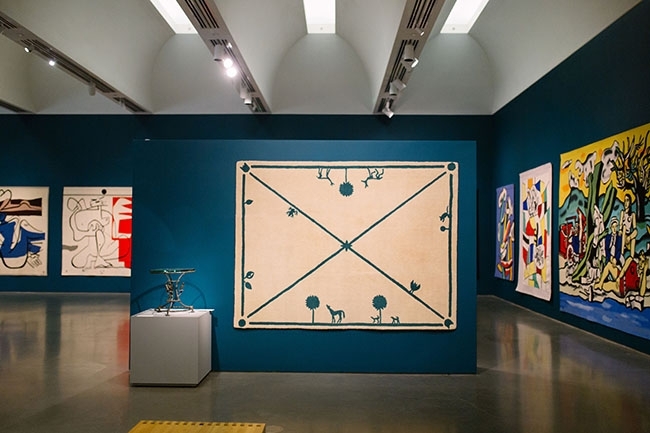 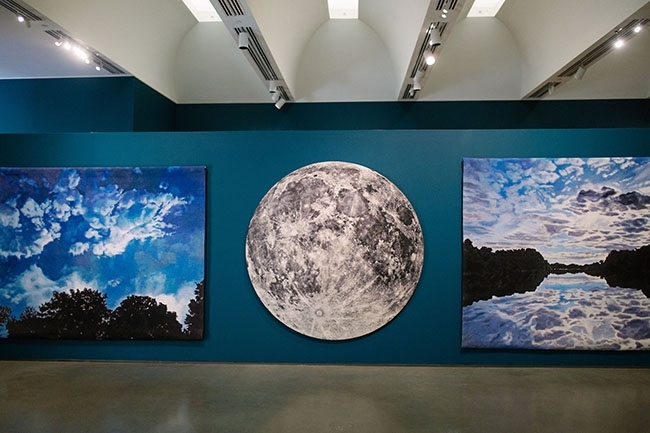 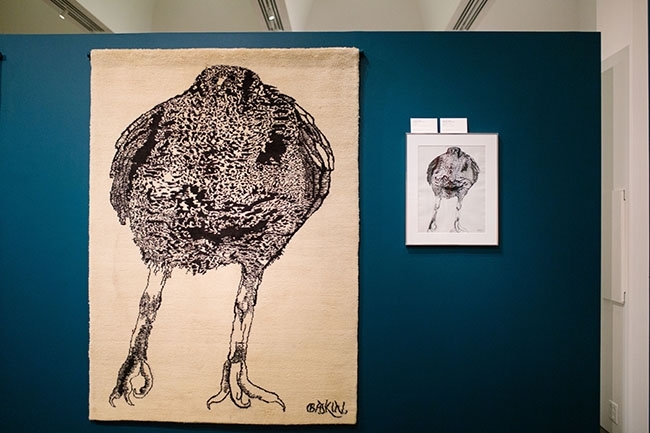 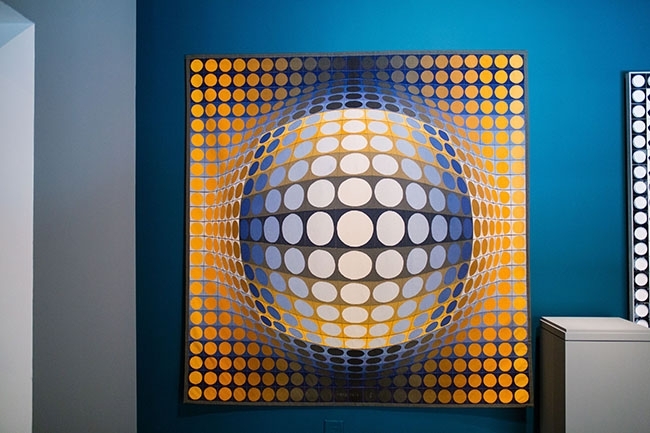 “Tapestry has a wide appeal to a variety of audiences for its intricate beauty and its transferability,” said John Boyer, president and CEO at Bechtler Museum of Modern Art. 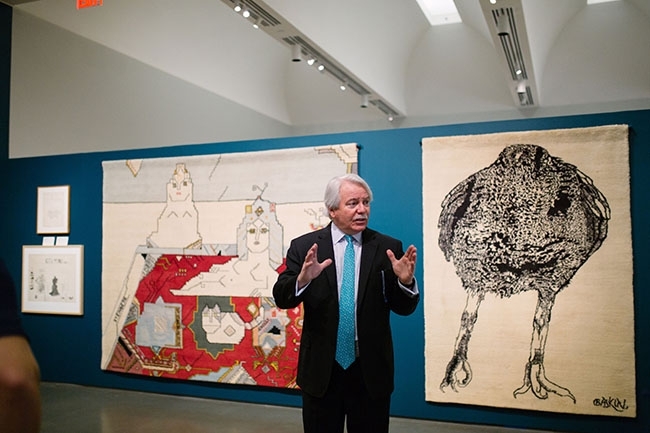 At a media preview that Queen City Nerve attended on Thursday, we asked Boyer what he hopes museumgoers take away from the Nomadic Murals exhibit. 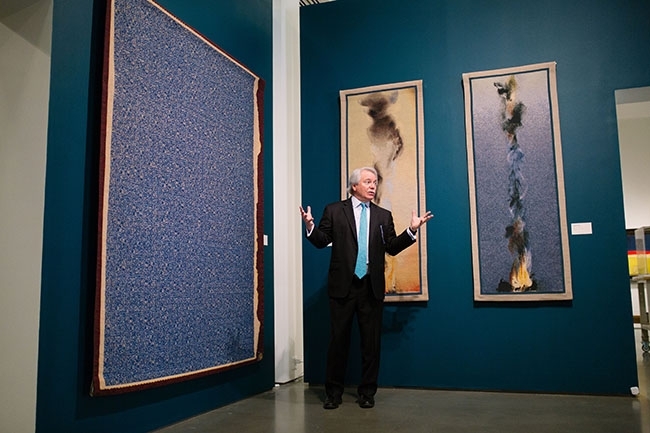 His lengthy response is quoted verbatim below, followed by a gallery of photos from Queen City Nerve photographer Jayme Johnson. 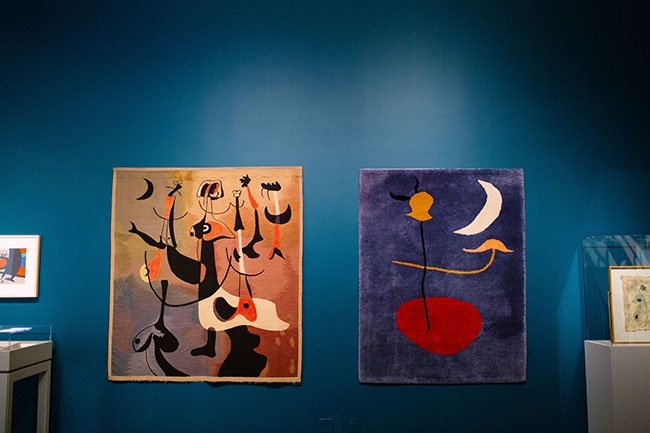 To truly appreciate what goes into a tapestry and learn about the artists who made them, however, one needs to visit the exhibit, so we suggest you do that.